Changing the World of Power Banks One Charge at a Time! 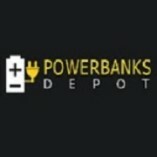 Power Banks Depot is the one stop solution for meeting your entire brand promotion requirements at the most affordable prices. Our promotional items not only help in promoting your brand amongst potential customers but also keep a track of business progress and competitor tactics.